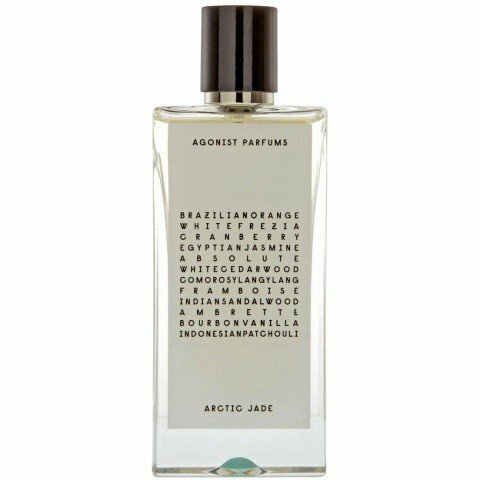 Arctic Jade is a perfume by Agonist for women and men and was released in 2011. The scent is sweet-fresh. The production was apparently discontinued. I'm sweating, the heat is killing me, but the cat wants to be cuddled on his stomach...! The whole thing would of course go faster if I were one of those ripper guys for whom there's nothing better than summer and where you always get so jealous. But it's also really hot, no matter if single or not... hellish hot is hellish hot! I really wish I could have the winter back now and then! Hm, the fragrance doesn't start ice-cold or otherwise refreshing, but still very beautiful. It is sweetish and quite powdery with a "dash" of fruity notes. The sweetish one clearly comes most from the jasmine, the fruity notes are the berries, although I cannot distinguish between the different berries indicated here. Otherwise, the fragrance is quite flowery and instead of giving any cooling or refreshing effect, the fragrance becomes even heavier and more sultry, as the flowery notes soon turn out to be ylang-ylang, which always seem heavy and sultry to me, even stuffy. Fortunately, this doesn't take too long, and the Ylang-Ylang gets softer again. Because now two fragrances dominate: Jasmine and especially vanilla. And now I also know that the powdery notes came from the vanilla, even if you couldn't smell the vanilla right at the beginning. Later, some cedar wood is added as a base, as it were, as well as a dash of amber, whereby the amber soon disappears again because of the vanilla, since this becomes very intense in the base. Even the jasmine is soon "swallowed" by the vanilla and can therefore hardly be smelled. But it doesn't matter, because the fragrance smells so great. The charisma is initially quite good, but weakens a little over time. In general, however, it remains at a good level and can therefore be smelled well on one for some time, as you already pull a small scent flag behind you with it. 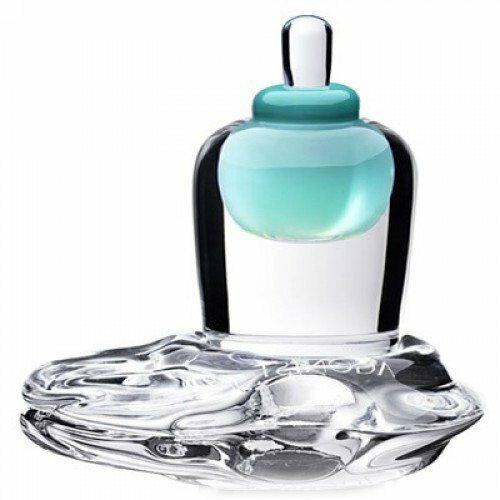 The shelf life is more than twelve hours, which is hardly surprising for fragrances with vanilla in the base. The bottle is rectangular, thin and high. On the front, there is a large label covering almost the entire front with the name of the fragrance and the fragrances contained here, which was written in block letters and therefore looks interesting. Nevertheless, the bottle is quite simple. Hm, the fragrance is called fresh here, but I don't really agree with that. Okay, in spite of vanilla and ylang-ylang the fragrance isn't that heavy, even though it's quite sweet, but still it's not fresh. The powdery notes are also quite intense here, which is a great and pleasant feeling, but that doesn't make the fragrance any looser. I would say that the fragrance can be worn on warm days, but only in low doses. On colder days it also serves its purpose, so this fragrance is an all-rounder for me. By the way, for me it is especially suitable for the evening or for going out, because it also comes across great because of its good Sillage and the great, sweetly powdery scents. Although it says here that the fragrance is unisex, in my opinion it is clearly feminine. Possibly the nicest Agonist I’ve ever tested so far, a line which always left me completely indifferent. The blend here has a really classic French vibe, but with a sharp contemporary look. More specifically, as the name goes, the modernity here lies in a palpable and quite distinctive “icy” grey feel, I think due to aldehydes and something reminding my of olibanum and synthetic incense, together wrapping a warm floral-resinous vanillic blend like in a frosted cube. Floral and ambery-vanillic in a really classic meaning, as I said: think of a brighter and lighter “guerlinade”, with also a hint of camphorous-animalic notes. The fruity notes are treated in a rather “mature” way, so don’t expect any juvenile gourmand stuff: they provide instead a subtle, crisp and realistic sweet-green feel without overloading the composition with “boosted” synthetic sweetness. Sandalwood’s there too, and smells quite good in my opinion: juicy, realistically woody, contributing to build that classic feel (Santal Noble and vintage Egoiste come to mind, Santal Noble especially). All gently leading to a great silky amber-sandalwood floral drydown. The only thing I personally dislike is a slight yet annoyingly perceivable and cheap soapy-metallic feel which I don’t know how to identify, but kind of ruins a bit the mellow, fascinating complexity of Arctic Jade. Apart from this and a rather unsatisfactory persistence though, I find this scent compelling and charming, easy to wear yet really interesting in my opinion. An aloof yet sophisticated take on classic themes. Write the first Review for Arctic Jade!